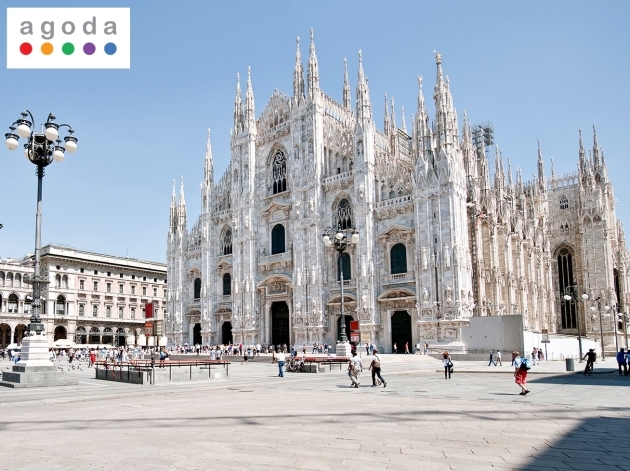 SINGAPORE, 2015-4-24 — /Travel PR News/ — Agoda.com, one of Asia’s leading hotel booking sites and part of Nasdaq-listed Priceline Group (Nasdaq:PCLN), has unveiled ten hotel properties offering great deals for the Milan Expo 2015. This is first time the glob-spanning event has been held in Italy’s culture and fashion hub since 1906. Taking up over 1 million sq.m, the exhibition site sits just a few kilometers from the center of Milan, and features a wide array of food-based learning clusters, thematic areas, and activity sites. These include a children’s park, future food district, open air theater, lake arena, hospitality areas, and of course, plenty of food and drink. In addition, visitors can expand their horizons by visiting the pavilions of 145 countries, thirteen NGOs, and international organizations such as the United Nations, the European Union, and CERN. There is also plenty to see in Milan itself. The world famous cultural capital is also one of Italy’s centers of industry, commerce, and finance. The city has some of the world’s best museums, historic architecture, ancient theaters, and World Heritage landmarks. Whether it’s for the Expo or just to visit Milan itself, these last-minute hotel specials will please everyone. Check out the participating hotels below. To learn more about the exhibition, visit www.Expo2015.org. Enjoy a 12% discount. Expires 31 December, 2015. Book at least 5 days in advance and enjoy a 10% discount. Expires 31 December, 2015. Enjoy a 10% discount. Expires 31 December, 2015. Book at least 7 days in advance and enjoy a 15% discount. Expires 31 December, 2015. Stay at least 2 nights and enjoy a 20% discount. Expires 31 August, 2015. Stay at least 3 nights and enjoy a 15% discount. Expires 31 August, 2015. Book 2 days before your stay and enjoy a 10% discount. Expires 31 December, 2015. This entry was posted in Holidays, Hospitality, Hotels, Travel, Travel Marketing, Travelers and tagged agoda.com, great deals for the Milan Expo 2015, Milan Expo 2015. Bookmark the permalink.